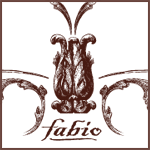 Fabio - Swindon Restaurants | Eat Unique. Situated on Bath Road, Old Town, it is the perfect place to eat out in Swindon. Whether you are looking to begin or finish your evening, Fabio’s is only a few minutes’ walk from a range of vibrant bars.